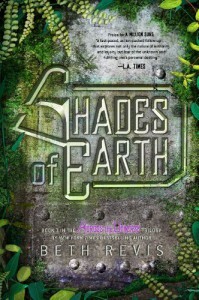 Shades of Earth: This book was really good! The first half was pretty slow but the second half saved the book. The second half was amazing and very fast-paced! The character development for Amy was exactly what I needed. She got so much better and stronger at the end and I loved that! I would have given the book a 3 stars based on the first half, but I needed to give it a 4 stars for the second half. The .5 was because the end - specifically the last 5 pages - was one of the best endings I have ever read. This book was kind of confusing at the beggining but it just got better and better! Definitely a great conclusion to the trilogy!! !